Our range of products include cnc machining center, cnc router and sa-65/2 cnc machining center. Our firm has been continuous gaining appreciation as the prime manufacturer, supplier, and trader of CNC Machining Center. This machine center manufactures and develops quality iron alloy and stainless steel blades, machines and other industry components. Also, our deft professionals manufacture machines and components available in CNC center using modern technology under the supervision of expert professionals in our unit. The rugged design and construction helped the machine receive high appreciation in the hard engineering domain. 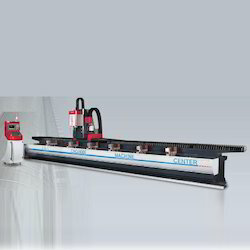 A flourishing enterprise in this domain, engaged in introducing a wide range of CNC Router. This router find wide application use in various industrial sectors processing kinds of boards, such as solid wood, acrylic, PVC board, shaving board, and fireproof wood. Also, the offered router is widely used in complex processing on door, cupboard, and audio wood shell. We have designed the router ensuring topnotch quality OEM standards and opted for several quality tests before dispatching to the clients. 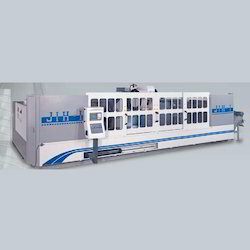 SOCO SA-65/2 CNC Tube and Bar Machining Center incoporates 4 Processes in I machine and max. 7 electric servo controlled axis . 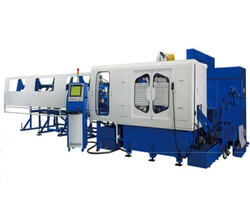 The unique design from Loading, Feeding, Sawing, Machining, Washing, Measuring and Unloading. The multiple processes brings the highest production performance and speed for best manpower and time saving. Since our inception, we are engaged in presenting a wide range of excellent quality CNC Machining Center. This machining center is widely used in researching and developing new machines, saw blades, and advent-grade technologies. Every machine is made available in the center is widely used and applied in automobile, mechanical, and machine manufacturing companies for developing different parts and systems. At out unit, our professionals manufacture, polish, anodize, and plate the components, blades and machine adhering to industry standards. 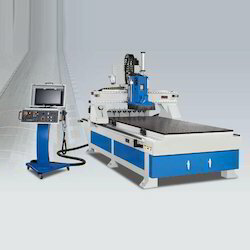 Looking for CNC Machining Center ?